You've already attached your items to the job or estimate you're working on, but now need to send certain items out to the customer. With Housecall, it's as easy as the click of a button to send attachments with an invoice or estimate. 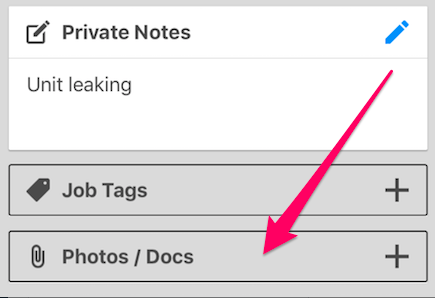 Go the 'Photo/Docs' tab of the job details page. This will take you to all of your attached items. To send an item out with the invoice or the estimate, click the small, round bubble in the top right corner of the image. The bubble will become a blue check mark when selected. 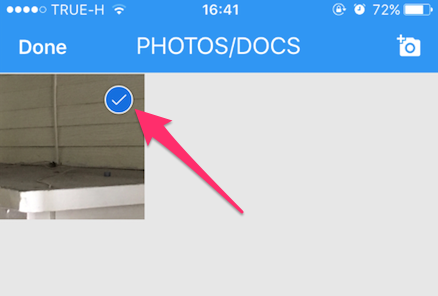 After the correct attachments are chosen, click the 'done' button in the top left. When you send out the invoice or estimate, these items will automatically go out as attachments of that email.